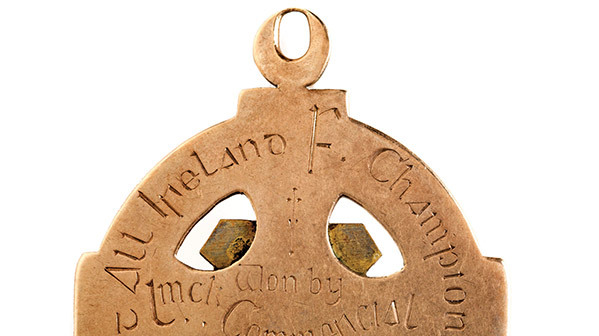 This gold medal was presented to a Limerick player, P.J. Corbett, a member of the team that won the first all-Ireland Gaelic football championship final. On 1 November 1884, at Hayes’s Hotel in Thurles, Co. Tipperary, Michael Cusack convened the first meeting of the ‘Gaelic Athletic Association for the Preservation and Cultivation of National Pastimes’. Cusack had been an enthusiast for rugby and cricket. Another of the prime movers, Maurice Davin, was an accomplished allround athlete. In the atmosphere of the 1880s, they and others were now determined that Ireland should have its own distinctive sporting culture. The GAA thus set out to take control of Irish athletics, to codify the ancient sport of hurling and to develop Gaelic football, a version of the game influenced by both rugby and soccer. Indeed, in its first two or three years, it was the GAA’s athletics events that were its most popular aspect. In one sense, the GAA was a very ‘British’ development, part of the great Victorian drive to codify all kinds of games and turn them into popular spectacles. Thus, although it found its greatest support among the growing class of ‘strong farmers’, the GAA was in many ways a typical product of ninteeenth-century modernisation. All over Europe, a new popular nationalism looked to culture as the basis for a collective identity that could bind together an increasingly literate and mobile population. In Ireland, these notions had a particular appeal. After the fall of Parnell, the parliamentary Irish party was bitterly split and Home Rule was a more distant prospect. 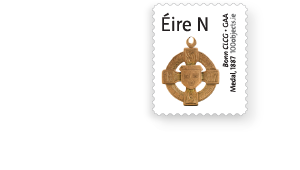 Even prior to the split energy was being channelled into a remarkable ferment of civic activity: Irish language revivalists were active from the late 1870s, and there was also development in relation to the agricultural cooperative movement (by 1914, there were over 800 co-ops on the island), trade unions (the Irish Trade Union Congress was established in 1893) and campaigns for votes for women (the Irish Women’s Franchise League was founded in 1908). Much energy also went into the cultural nationalism of the GAA, the Gaelic League (established in 1893 with the aim of reviving Irish as the vernacular language), pipe bands, Inghinidhe na hÉireann (Daughters of Ireland) and the Irish Literary Theatre. These last two organisations fed into the creation, in 1904, of the Abbey Theatre. Its great early figures, William Butler Yeats, Augusta, Lady Gregory, and John Millington Synge gave international prestige to the idea of a distinctive Irish culture (albeit in the English language). These attempts at ‘cultural revival’ were remarkably successful, and whereas interest in all sports, including in rugby and soccer, grew dramatically at this time, by 1915, Gaelic football was the most popular spectator sport on the island and the GAA was well on the way to becoming arguably the most remarkable amateur sporting body in the world. The Gaelic League never succeeded in making Irish the vernacular, but it did have an enormous influence on younger nationalists. Yet hopes that culture would be a terrain on which political and religious differences could be left behind were disappointed. Politics could not be forgotten—both the GAA and the Gaelic League were heavily infiltrated by the secretive Irish Republican Brotherhood. The football championship for which P.J. Corbett won his medal was begun in 1887, but it was delayed because of fierce political infighting between IRB, clerical and non-aligned supporters within the association, and the final itself was not played until 29 April 1888; in a further twist, the medals were not presented until c. 1912, because of a lack of money within the GAA. Many Protestants—among them Douglas Hyde, George Russell and the Abbey writers—were key figures in the cultural revival, but it was difficult to escape the identification of ‘Irish Ireland’ with ‘Catholic Ireland’. Hyde’s insistence that the Gaelic League should avoid politics led to his resignation as its president in 1915. With nationalism becoming such a powerful force in modern Europe, and looking to culture to support its claims, avoiding politics was perhaps an impossible aspiration.